Welcome to Eger, the town of grape and wine! 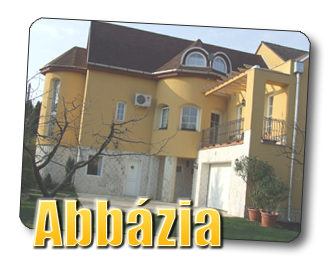 Guesthouse Abbázia can be found in the garden suburb of Eger. This house is in a silent, peaceful street, a few minutes far from the railway station. If you would like to spend some days without scurry and the noise of the world, don't look for another place to have a rest. You have found your accommodation! Apartment Viola is situated in the centre of Eger, 50 metres far from the main square 'Dobó tér'. You can reach anything in the city in 5 minutes from here, even though you go on foot! 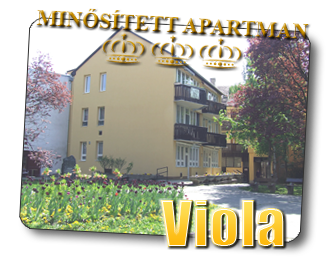 Choose 'Apartment Viola' if you would like to take a part in everything that can happen with you in Eger! Click on the images of our apartments to enter!